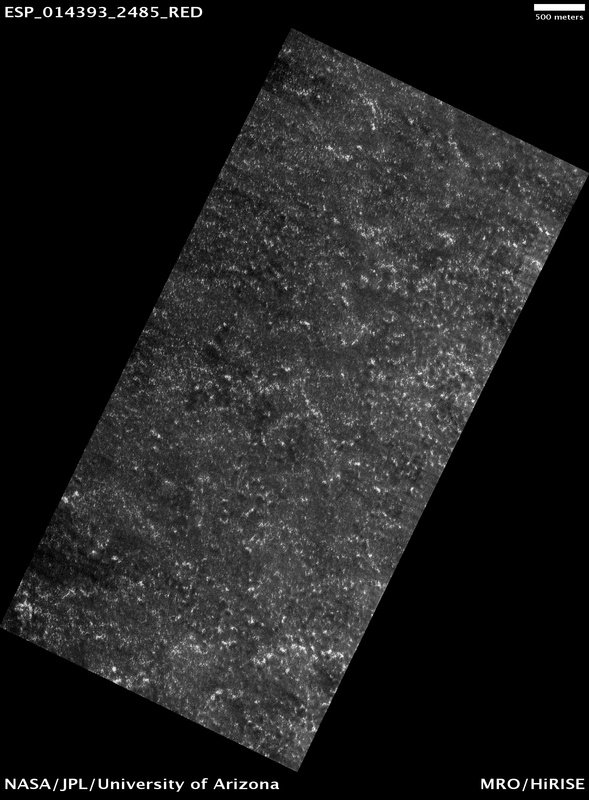 As the Phoenix lander started to get a glimpse of the Sun towards the end of the northern hemisphere winter, HiRISE decided to try imaging the site despite the low light levels. 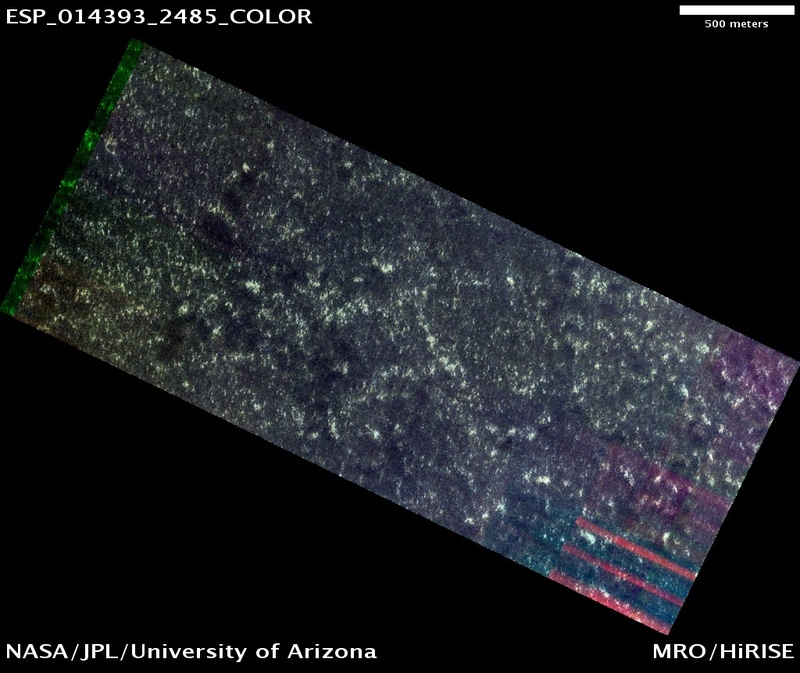 The power of the HiRISE camera helped us see it even under these poor conditions. By matching up the images with the known location of the lander, we can identify the hardware, even disguised by frost and poor lighting. To make things worse, some of these images are also low-quality due to atmospheric haze, which often obscures the surface at this location and season. In this image, the albedo (brightness) doesn't necessarily indicate the amount of frost. Keep in mind that each of these images is stretched differently for optimal contrast, so "bright" and "dark" can't be compared directly between images without doing complex calibrations. 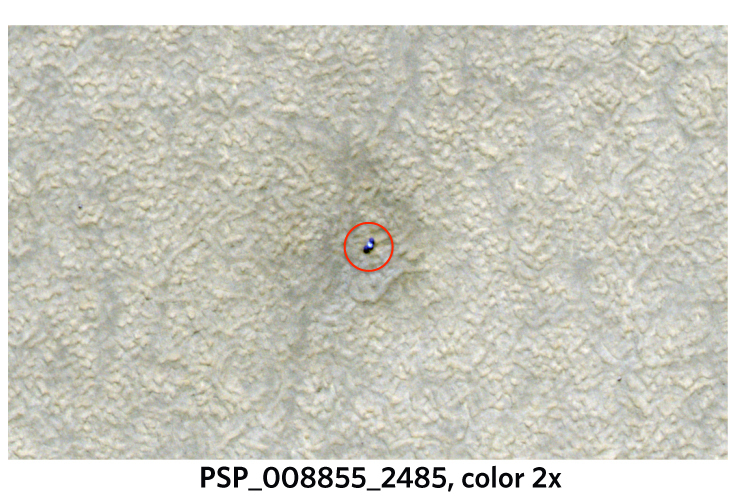 In fact, if you stretched all of them exactly the same, the darker areas in the frost-covered ESP images are still brighter than typical soil, like that surrounding the lander in the frost-free PSP_008855_2485 image. In addition, other factors affect the relative brightness, such as the size of individual grains of carbon dioxide ice, the amount of dust mixed in with the ice, the amount of sunlight hitting the surface, and different lighting angles and slopes. The winds are also changing direction and strength, moving loose frost and dust around over time. Studying these changes will help us understand the nature of the seasonal frost and winter weather patterns in this area of Mars. 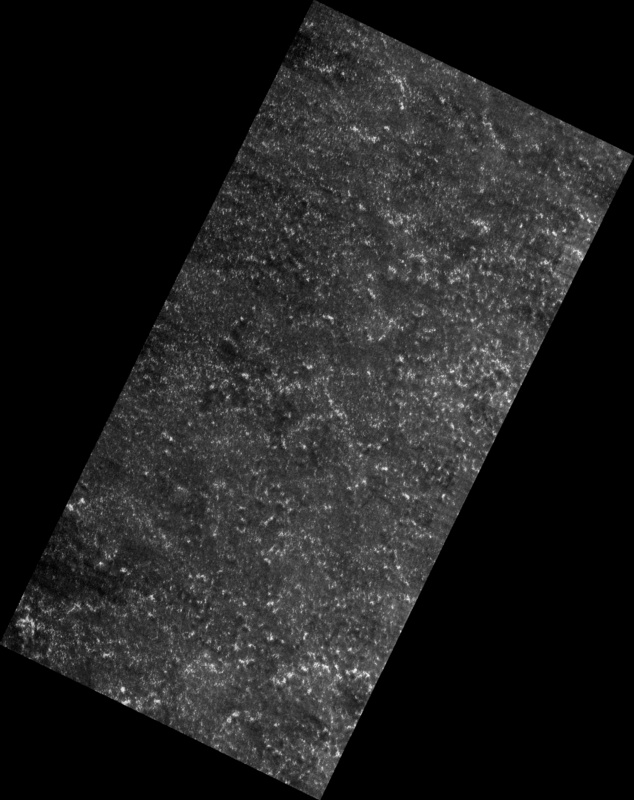 The amount of carbon dioxide frost is increasing as late winter transitions to early spring, so the layer of frost is getting thicker in each image, slowly encasing the lander. The maximum thickness was expected to be on the order of tens of centimeters, which would have reached its peak in September 2009. 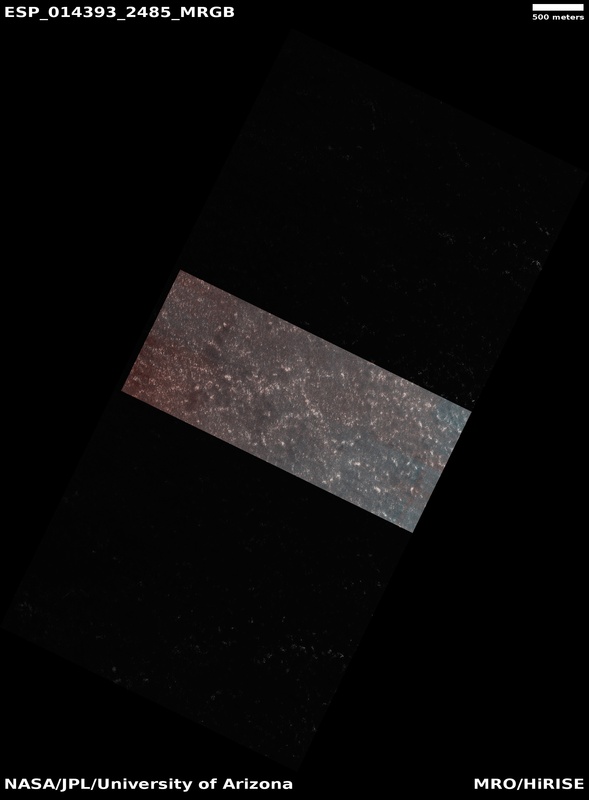 Unfortunately, the Mars Reconnaissance Orbiter was in the midst of an extended safe mode following a spacecraft anomaly, so HiRISE was unable to capture an image at that time. The Planetary Society has put together an animation comparing the hardware at different times.